Runner Dude Travel Mug (black) Details 14 oz capacity. Acrylic exterior,stainless steel interior. Thumb slide top prevents spills. 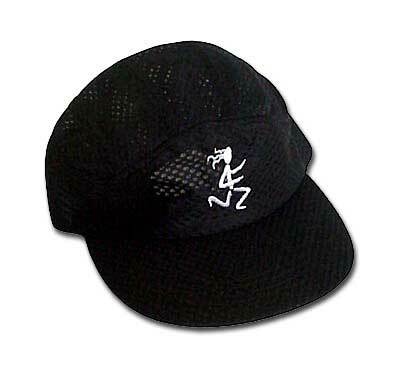 Runner Girl Marathon Cap 100% polymesh material - cool and breathable. Washable - brim is plastic, not cardboard. 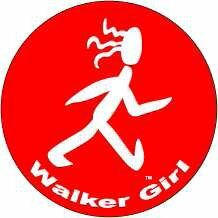 Runner Girl Round Sticker Runner Girl Round Sticker size: 3" White Sticker with colored figure. 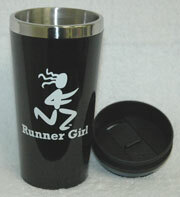 Runner Girl Ceramic Coffee Mug(black with white logo)-11. oz.